Child’s Play TV Show Coming to Syfy | Nerd Much? It’s been quite a while since the horror character Chucky has been truly relevant. But with the announcement today that a Child’s Play TV show is headed to Syfy, Chucky may very well be a horror icon once again. The Child’s Play TV show will bring with it all of the franchise’s core creators. Don Mancini, the original creator and writer of the character is set to write and produce. Producer David Kirschner and TV writer and producer Nick Antosca are attached as well. The upcoming Child’s Play TV show isn’t the only Child’s Play project in the works though. MGM is developing a modern day reboot of the film franchise. It features Gabriel Bateman as the young star who the doll will terrorize. And Aubrey Plaza as the child’s mother who inadvertently gifts the possessed doll to her son. 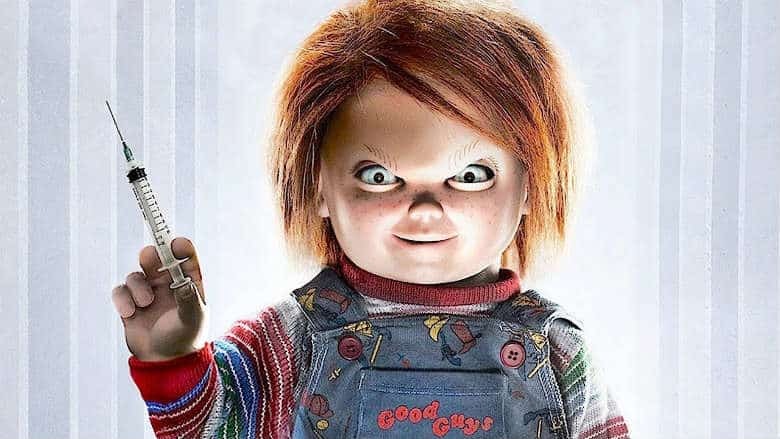 Unlike the Child’s Play TV show, the franchise’s creator Don Mancini is not involved. Nor is longtime Chucky vocalist, Brad Dourif.